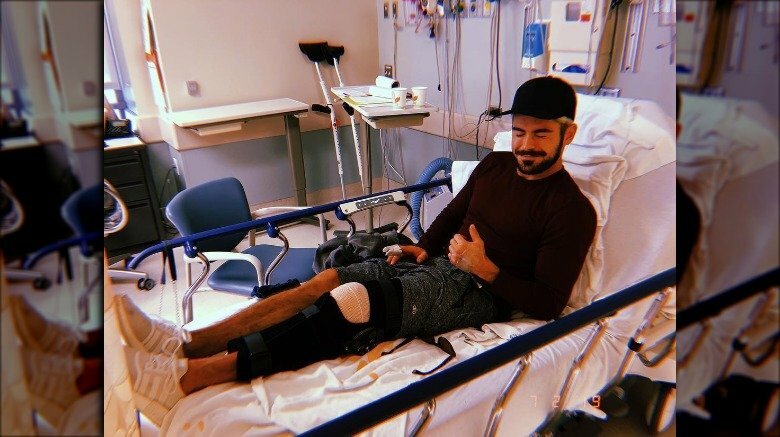 On Friday, Feb. 8, 2019, the former High School Musical star took to Instagram to reveal that he's currently recovering from surgery after tearing his ACL in his knee while skiing. "I tore my ACL shredding the gnar," Efron, 31, wrote to his 37.8 million followers, captioning a snapshot of himself showing off his bandaged knee while lying in a hospital bed. "But all is good. I opted for surgery so I can come back stronger than ever. Thank you to Dr. Kvitne and his team at Kerlan-Jobe Surgery Center." The Greatest Showman star concluded his post with, "I'll keep you updated as I heal and progress! Thanks for all the love and positivity!" 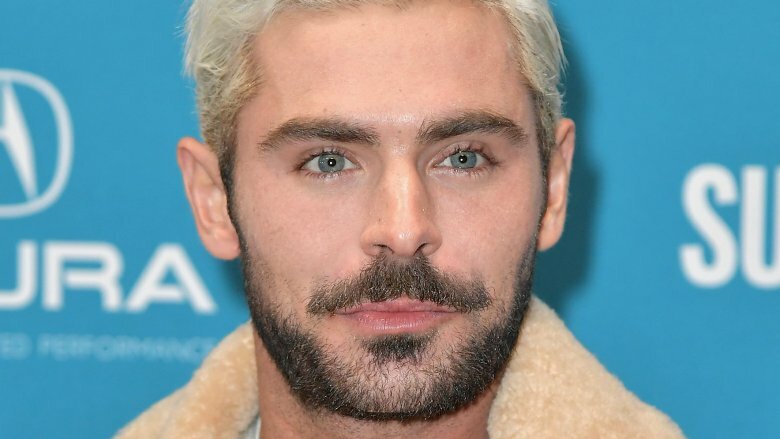 For their part, Efron's fans quickly took to the comments section to wish him well. Amid multiple "feel better" messages, one fan related to the actor's ordeal, writing, "Awwww i've torn my acl too. Not fun" (via E! News). Efron isn't the only celeb to be hospitalized this week. As Nicki Swift previously reported, country music star Jason Aldean's wife, Brittany Kerr, took to her Instagram Stories on Wednesday, Feb. 6 to announce that she was still in the hospital after giving birth to the couple's second child, daughter Navy Rome, two days earlier. The married pair are also mom and dad to 1-year-old son Memphis. "When your labor goes amazing but then things go south," the 30-year-old wrote alongside a clip which showed off her swollen feet. "Still hospital living with my trooper of a hubs and a precious little girl." The American Idol alum went on to reveal that she'd even had a blood transfusion, but added that her post-pregnancy health complications were "#WorthIt." Thankfully, Kerr shared that she was back home the following day. We're wishing Efron speedy recovery!